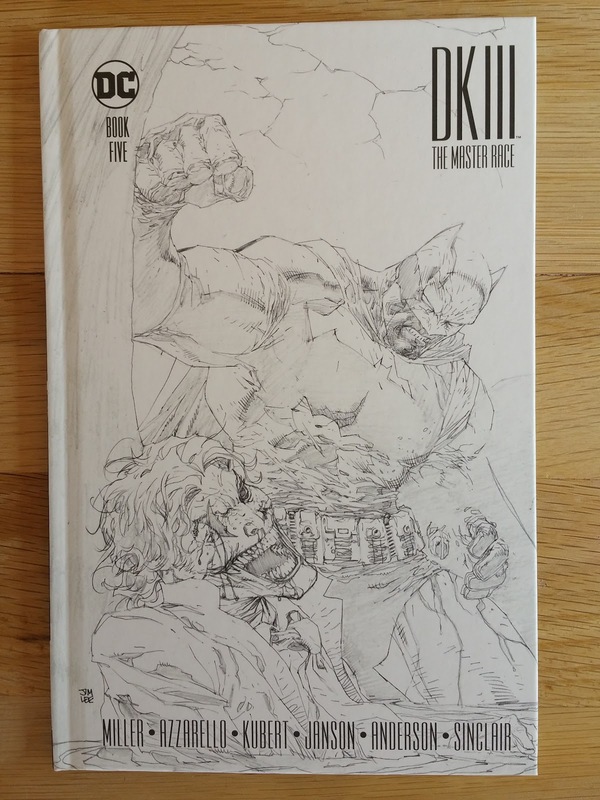 Dark Knight III The Master Race series is accumulating delays, and now issue #6 in its collector's form will not be published until November. In the meantime the associated article have been updated with issue #5. This collection became a deception. Since issue #4 there are only 23 pages instead of 28 for the main story. In the digital edition this was partly compensate by adding 4 pencil art pages, and the five variant covers. In this so-called collector's edition there is nothing like that.